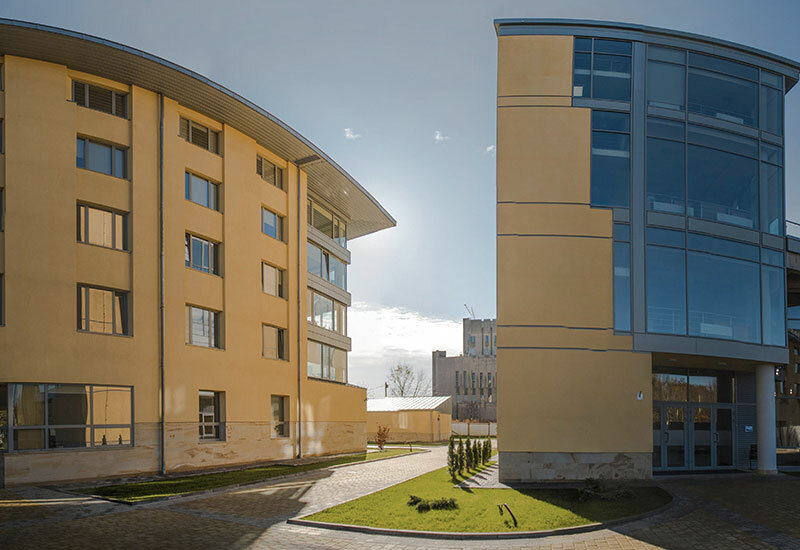 UCU is carrying out a unique project for Ukraine – the construction of a new campus with a classroom building, collegium, library, church, and other buildings. The location of the campus – in Lviv’s largest and oldest park – creates a unique atmosphere and conditions so conducive to study that one can only dream. The construction of the campus is a great event with huge significance for the university, the city, and even the country. This unique and massive project unites thousands of people from many countries of the world who have gathered together for this purpose. In this way the campus is now a place where the university is gaining valuable international experience. Leading architectural firms were engaged to develop the architectural projects of the new campus. This includes: Kallmann McKinnell & Wood Architects, Inc. (Boston, USA), with specialists who have designed projects for universities like Harvard, Yale, and Princeton; and Behnisch Architekten (Stuttgart, Germany), which has designed projects for universities in Baltimore (USA), Ilmenau (Germany) and public libraries in Germany. The concept for the general plan of UCU’s new campus was developed by Professor Gerald Gast of the University of Oregon (USA). Those who are searching for the financial resources to build the campus and our benefactors all together make up one big team of people from various countries and continents. The construction will be completed in 2016.